Hurray! 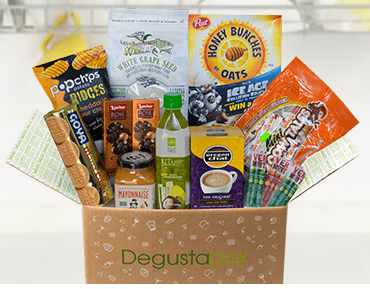 My August Degustabox is Here! Once again, I am beyond happy with my monthly Degustabox! This month's box ROCKS! It was filled to the brim with the most amazing goodies. I was really impressed! I had a lot of fun unpacking the box, and trying to arrange the goodies so that I could take some pictures of them before my kids started grabbing the loot. I am always very happy to share, but first things first! Look at all this stuff! Vermont Meat Sticks are delicious little meat sticks that are made from nourishing real meat protein you can enjoy on the go! Vermont Smoke & Cure has been consciously crafting delicious smoked meats & meat snacks since 1962. Our team of employee-owners makes everything in their Smokehouse right in the hills of Vermont. All of their meats are raised without antibiotics or hormones and are always vegetarian-fed and never have any artificial preservatives or added sodium nitrites, and are allergen free. The Cracked Pepper Meat Stick is crafted with lean beef and pork, cracked pepper and a classic mix of spices. The Turkey Pepperoni has the classic pepperoni flavor, crafted with turkey, peppers, paprika and garlic. My son, Braxton loves these. I plan to buy them for his school lunches. He gets to bring a snack to eat in the classroom, too, so Vermont Meat Sticks will give him the energy he needs to get through the school day. Perfect for after school, too! Goya Maria Cookies are a favorite across Latin America and Spain. These buttery biscuits are simply the perfect treat for any time of the day. Enjoy their crunchy sweetness alone or use them to make spectacular Latin-flavored desserts. 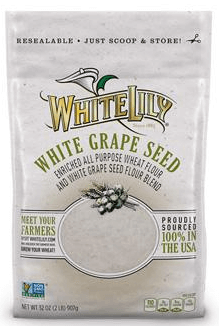 JM SMUCKER White Lily White Grape and Wheat Flour ~ The indulgent flavor of chardonnay grape seed flour combined with Shepherd's Grain® wheat will help you reinvent your favorite recipe. Replace traditional all-purpose flour with our White Grape Seed Flour Blend in your favorite sweet or savory baked goods to add rich flavor. I had honestly never even heard of white grape four before. I intend to look up some recipes and see what I can make! Pinterest, here I come! 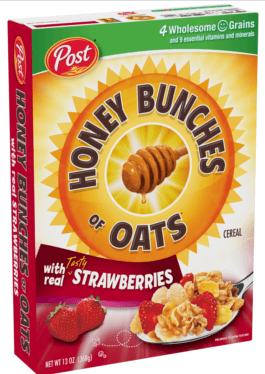 POST Honey Bunches of Oats Strawberry~ features the perfect combination of and dried ripe strawberries, crispy whole grain flakes and tasty, crunchy granola clusters, along with a touch of honey for sweetness. My family's favorite cereal! We even eat it for dinner. 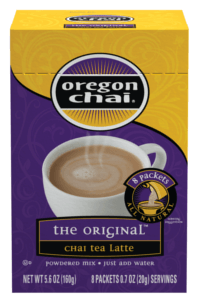 Oregon Chai Tea fills your cup with all-natural ingredients. In fact, most of Oregon Chai's concentrates are over 90% organic. I haven't tried this Chai Tea yet, but I am excited to try it because I live in Oregon! LOACKER Rose of the Dolomites offers the perfect arrangement: genuine high-quality ingredients and a sublime blend of exquisite cream, crunchy hazelnut pieces, and smooth petals made out of dark, white or milk chocolate. There were TWO boxes of these delectable chocolates in this months box! How lucky is that? My daughters and I were all over these like flies on a rib roast! The perfect chocolate indulgence. 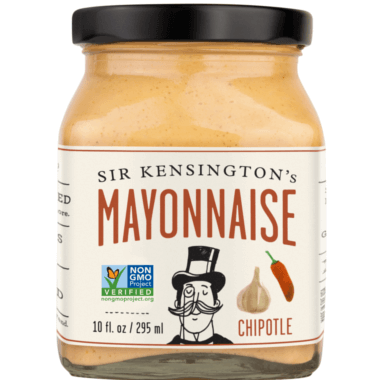 Sir Kensington's Chipotle Mayonnaise brings a New-World intensity to an Old-World classic. With a rich, smoky combination of chipotle peppers in adobo and notes of cumin, garlic, and tomato, it's the perfect accompaniment to fish tacos, grilled corn, and anything that lies between two slices of bread. I honestly have not tried this product out yet, but I would think it would really liven up an otherwise plain turkey sandwich! Sounds so good! ALO Allure Pulp Free ALO Drink starts with the natural benefits of aloe vera, which is hand-picked from our organic aloe vera farm and hand-filleted, ensuring goodness that is straight from the leaf, never from powder. This crisp, refreshing base of real aloe vera pulp and juice is then enhanced with a mix of real fruits, vegetables, and healthful ingredients to create a variety of unique flavors. I love this drink! I was a little worried that I would not like the taste, but it was very good. I would definitely buy this juice again. 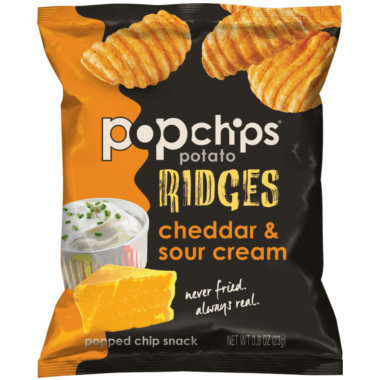 Popchips® All-New Ridges is one of the hottest snacks brands in North America and the UK, and is a delicious line of popped potato chips with all the flavor and half the fat of fried chips. 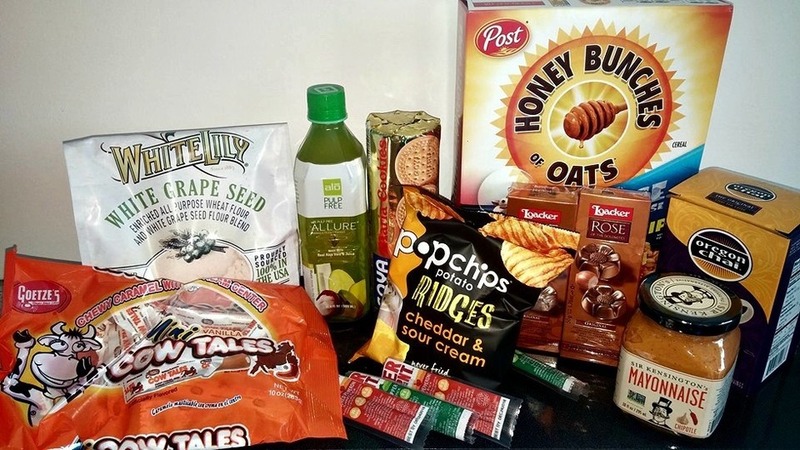 popchips has been winning awards and acclaim since its launch in 2007, while garnering a passionate following among trendsetters, moms, sports enthusiasts, and celebrities alike. popchips' fans include Jillian Michaels, Ashton Kutcher, and Sean (Diddy) Combs. I love Popchips! What more can I say? My nine-year old son loves them, too and I let him have this little bag. Since he liked them so much, I will be getting these for his school lunches. This was a generous sized bag of Cow Tales! Regardless, they were all gone the next day. I do admit, I had my fair share of them. 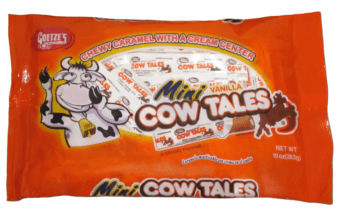 It's weird, I always see Cow Tales in the stores, but have never really tried them. Once I got a taste of them from Degustabox, I couldn't stop! I love the yummy caramel with the creamy center. I had no idea that they were made with wheat and dairy cream! That makes them seem 'healthy.' If not, I can always just convince myself that Cow Tales are good for me, right? They are addicting!